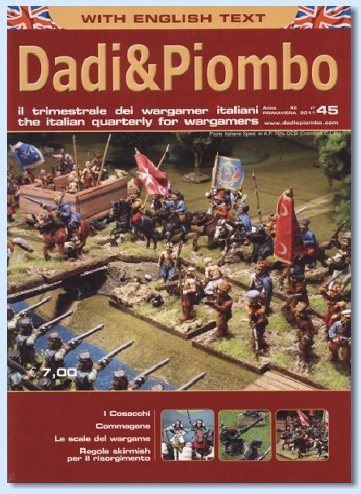 Another issue of Dadi & Piombo magazine is out. And even this time there is something written by me. Do you remember the post on this blog about scales in wargame compared to train modelling scales? Well, now it is rewritten for this magazine on a bigger scale. A translation in English language, better than my English, is present, because all the magazine is bilingual. 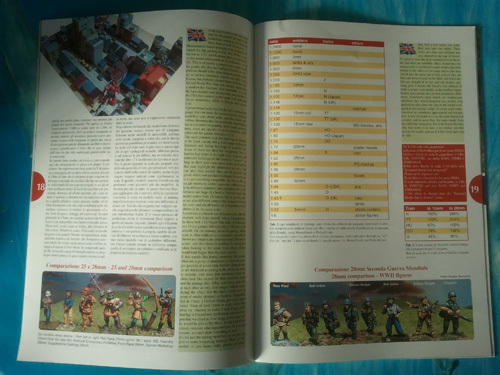 Here can see my pages. Beautiful photos of giant robots are by Paolo (see Ronin Clan blog on the links) and his MEKA game. The guy that make Dadi & Piombo magazine organise even Dadi.com convention, but due to problems with the financial support by local administration, he shift it from Crema to San Marino. Sorry chaps, now it is late to participate to it, that was last Saturday and Sunday. I’m building my scenario for 28mm (Flyton) and Paolo (RoninClan) is building his 1:144 Japanese scenario per MEKA. We have got our game pieces but we want to put something around them because the world is not flat and our pieces move in a three-dimensional world. So we are looking for something compatible with them. There are a lot of miniaturised worlds, each one with his characteristic and collectors. With our soldiers we have some scales called 10mm, 15mm, 28mm and so on. In train modelling world we have various scales, more common is the HO one, but there are others, obscure sometimes. Moreover there are other scales for plastic soldiers, airplanes, tanks and robots. Could we find a common language among all these types of modelling? I studied the question and I created this table. Some explanations are necessary. Airs are airplanes, and PG (perfect grade) and MG (master grade) are from Bandai’s Gundam animes. There are other train scales but they are rarer than these. There are other scale for soldiers and modelling, but I put here the most. I divided the modelling world into three categories: soldiers, trains and others. The first one is that you know better. The smaller “soldiers” are vessels for naval fighting (well, they aren’t soldiers, they contains soldiers, but we assume as soldiers all what is wargame), because you haven’t a swimming-pool for this, and the bigger ones are the 1:6, too big to only think about a game with lots of them (but madness is common among us). There is a big difference between a metal 20mm and a slighter plastic 20mm. It is a factor of pressing, because metal is rougher to press than plastic, so lead soldiers are sculpted with an alteration of human proportions. Plastic soldiers instead appears too much log limbed at our eyes are used to seeing bulker ones. Exists a method to calculate the dimensions of soldiers, the Barrett one, based on build. You have the highness calculated foot to eyes (the base is out of this measurement) and there is a letter added (L=Light; M=Medium; H=Heavy). So a 28mm can be a 28M for Barrett scale, but there are 28L and 28H too. More a miniature is bulk, more it seems bigger, so there is a big difference between 28L and 28H, and 28H is not compatible with a 29L. 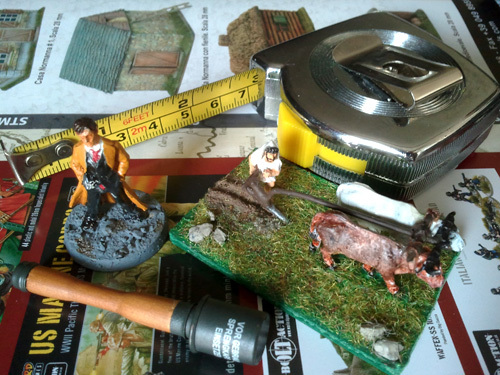 And year after year miniatures are higher because more mm means better details. So if we are speaking about 10mm, often we have got a 11mm or more. Today what we call 15mm is more 17mm than 15mm, or at least 16mm or also 18mm! If you think about the Barrett factor you will have other variations on what is a 15mm. The only method to understand if you can enlist different soldiers together is to put them side by side and look if there are big differences in size. And remember: what you see of enormous at strict distance is a little thing after the painting and on game tables. Train modelling is a well established hobby but nowadays it involves mainly adults with a lot of money to spend. You can find a lot of buildings and other useful stuff in UK, German or Japanese style. 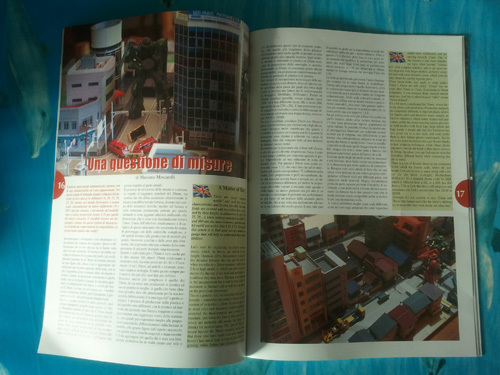 There is also stuff in Italian style, but here you can easily build a Tirol scene than an Italian one. And usually we don’t like very much a place where men wear shorts even with snow! The scales you find in shops are restricted to HO with some N. The others are difficult to find, you have to search online shops or E-Bay. But the weirdest thing is that scales aren’t so fixed, like soldiers situation! You have got different scales for different countries. So N scale is generally 1:160 but in UK it is 1:148! And there are differences among tracks: a same scale have got different gauges. A very useful thing is the possibility of buy pdf buildings to print on cardboard. If you find them in a different scale than what you want, you must print with a different percentage scale. For example, Z scale must to be printed at 122% if you want to adapt it to 10mm. So this is the table to adapt train modelling scaled sheets to print to lead soldiers.